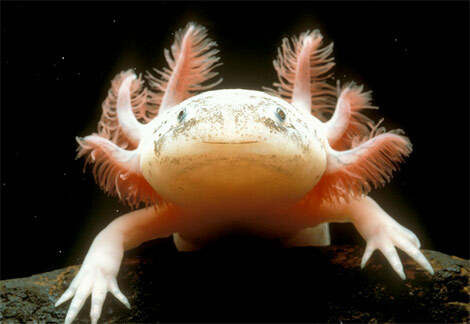 The Mexican axolotl (pronounced ACK-suh-LAH-tuhl) salamander has the rare trait of retaining its larval features throughout its adult life. 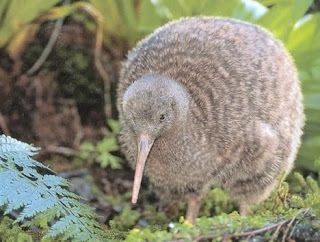 This condition, called neoteny, means it keeps its tadpole-like dorsal fin, which runs almost the length of its body, and its feathery external gills, which protrude from the back of its wide head. Close relatives of the tiger salamander, axolotls can be quite large, reaching up to a foot (30 centimeters) in length, although the average size is closer to half that. They are typically black or mottled brown, but albino and white varieties are somewhat common, particularly among captive specimens. 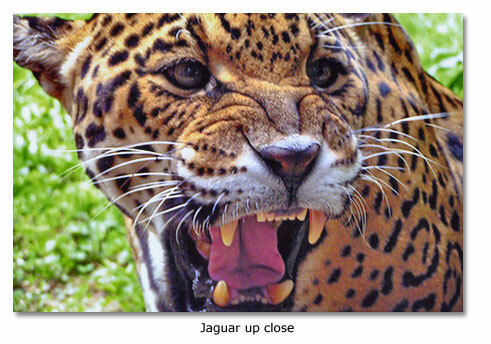 Of all the big cats, jaguars are the least studied. While some tidbits of information do come from examining jaguars in the wild, most of what is known about the creatures has been learned by studying captive animals. Wild jaguars are difficult to study because observing them is a rare occurrence. 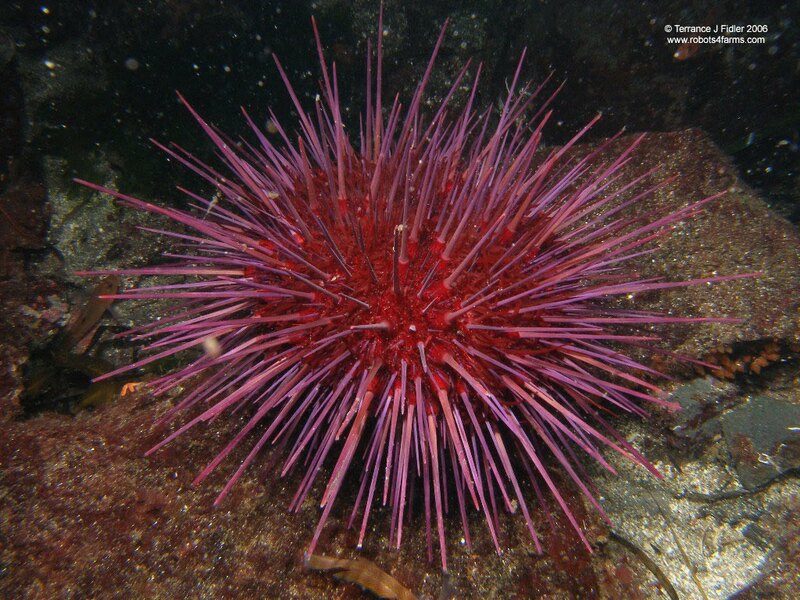 Sea urchins are small, spiny, bottom dwellers, that if stepped on, can inject a venom that may cause nausea, vomiting, muscle cramps, shortness of breath, or localized swelling, redness, and numbness. 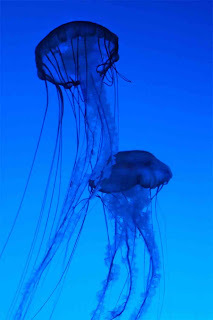 Many of Mexico’s most beautiful beaches harbor the treacherous jellyfish. 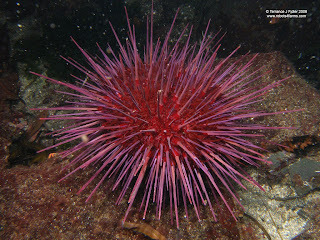 Twenty or more species are common in the waters around Mexico; most cause painful stings. Some are harmless, but a few rare species can be fatal. 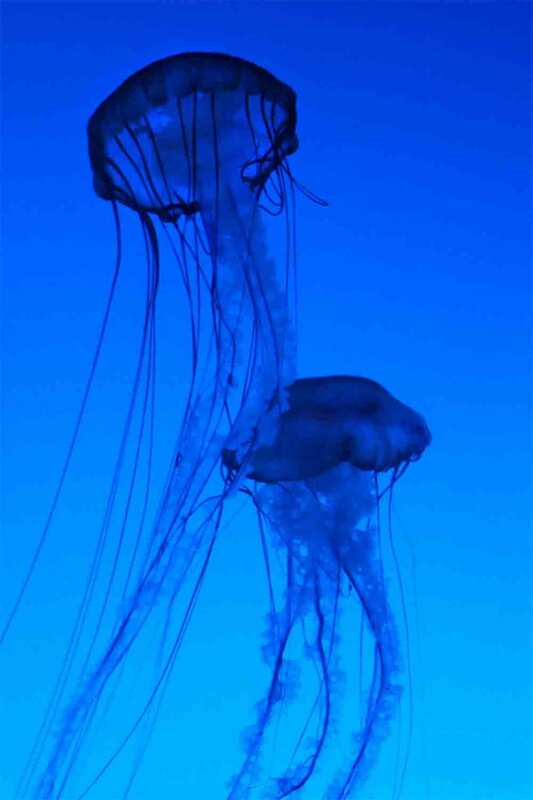 Jellyfish tentacles are armed with thousands of tiny needle-like filaments that can deliver small doses of venom just below the surface of a victim’s skin. If you do find yourself among a school of jellyfish, try not to panic. Slowly tread water until you are sure you are clear of the school. If you are stung, rubbing your wounds may aggravate the pain. Do not immediately remove any stray tentacles from your body. A majority of both the guards and prisoners come from poor socioeconomic backgrounds. After an all but certain unjust court process, or perhaps only awaiting one, the prisoner’s future becomes darker, as the penal system is rife with abuses. For example, to complicate the overcrowding of facilities, 228 of the prisons are coed; a fact which undoubtedly increases rights violations. According to a recent study by the Comisión Nacional de Derechos Humanos (CNDH), “women in the states of Guerrero, Hidalgo, Oaxaca, Jalisco and Veracruz suffer from frequent insults from male personnel or male inmates…the women live in a very grave situation, the violation of their rights is systematic and routine.” Not only is it difficult for the system to provide ample space and security for both male and female inmates, but prisoners are also denied even basic necessities like mattresses and blankets, and consequently, much of the responsibility for the care of inmates falls on the shoulders of their families. The penal system consists of both federal and state correctional institutions. The largest federal prison is the penitentiary for the Federal District. The Federal District also sends prisoners to four detention centers, sixteen smaller jails, and a women's jail. Each state has its own penitentiary. There are, in addition, more than 2,000 municipal jails. As of the end of 1993, nearly 95,000 inmates were in Mexican prisons; almost half were persons still awaiting trial or sentencing. Overcrowding of prisons is chronic. Mistreatment of prisoners, the lack of trained guards, and inadequate sanitary facilities compound the problem. The United States Department of State's country reports on human rights practices for 1992 and 1993 state that an entrenched system of corruption undermines prison authority and contributes to abuses. Authority frequently is exercised by prisoners, displacing prison officials. Violent confrontations, often linked to drug trafficking, are common between rival prison groups. Mexican prisons also exhibit some humane qualities. In 1971 conjugal visiting rights were established for male prisoners and later extended to females. Prisoners held at the penal colony on the Islas Tres Marías off the coast of Nayarit are permitted to bring their entire families to live temporarily. Women are permitted to keep children under five years of age with them. Based on interviews at a smaller state prison, United States penologist William V. Wilkinson found in 1990 that serious overcrowding, lack of privacy, and poor prison diets were the most common complaints. Wilkinson found no deliberate mistreatment of inmates. The prison fare generally was supplemented by food supplied by prisoners' families or purchased from outside. Prisoners with money could buy items such as television sets and sports equipment. Through bribery, prisoners could be assigned to highly prized individual cells, where even air conditioners were permitted. A major building program by the CNDH added 800 prison spaces in 1993 and 1994. In 1991 Mexico's only maximum security facility, Almoloya de Juárez, was completed. Major drug traffickers were transferred to it from other prisons. The prison's 408 individual cells are watched by closed-circuit television and the most modern technical and physical security equipment. Violence in prisons is a constant problem as a result of overcrowding, lack of security, and the mixing of male and female prisoners and of accused and sentenced criminals. Imprisonment of peasants, often for growing marijuana, puts a heavy demand on the system. Through the efforts of CNDH, a program of early release and parole benefited 1,000 people incarcerated on charges of growing marijuana in 1993. The death penalty has not been applied in Mexico since 1929, when the assassin of president-elect Obregón was executed. The federal death penalty was abolished under the Federal Penal Code of 1930, and by 1975 all state codes also had eliminated the death penalty. The military, however, still holds certain offenses as punishable by death, including insubordination with violence causing the death of a superior officer, certain kinds of looting, offenses against military honor, and treason.